Woodbridge VA buyers, this weekend we are offering 3 Open Houses. 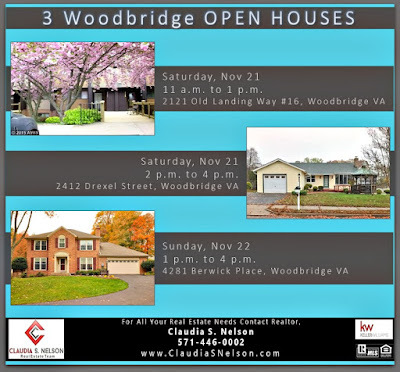 These 3 Woodbridge Open Houses has something for everyone. 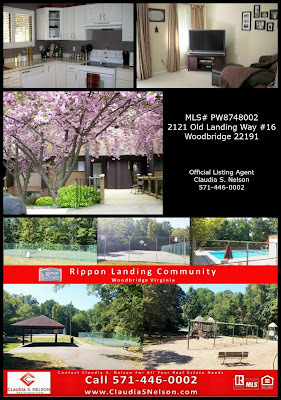 A Rippon Landing condo at $129,990, Single Family Home in Lake Ridge offering main level living and Colonial style home fully upgraded in the sought after Westridge Community. 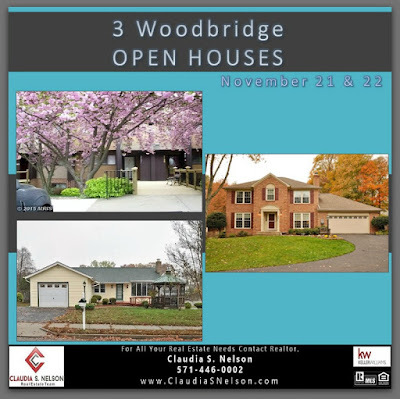 3 Bedrooms under $150K in Woodbridge! 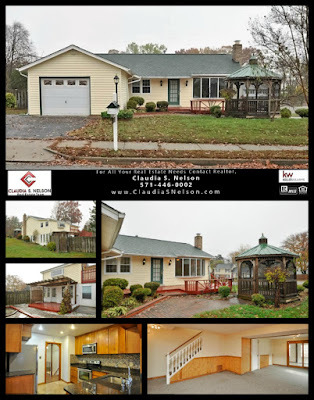 2412 Drexel St, Open House Saturday 2 p.m. to 4 p.m.
4281 Berwick Pl, Open House Sunday 1 p.m. to 4 p.m. 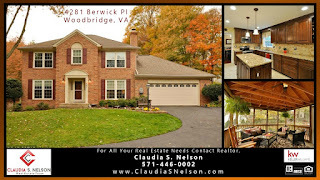 This entry was posted in Keller Williams Woodbridge VA, Woodbridge Home Values, Woodbridge VA and tagged 3 Woodbridge Open Houses, 571-446-0002, Claudia S. Nelson, Lake Ridge Woodbridge Open House, MLS# PW8748002, MLS# PW9512570, MLS# PW9517911, November 21, November 22, Official Listing Agent by claudianelson. Bookmark the permalink.